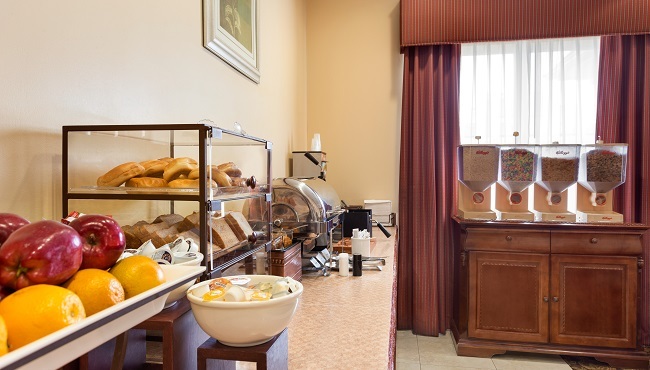 You can start your day the right way at the Country Inn & Suites thanks to a free, hot breakfast served every morning. Before you have to catch a flight at the IAH airport, fill your plate with hearty options such as boiled eggs and sausage, or make the morning sweet with muffins and a Belgian waffle topped with syrup. If you have time, sit back with a cup of coffee and a free weekday USA TODAY® newspaper. 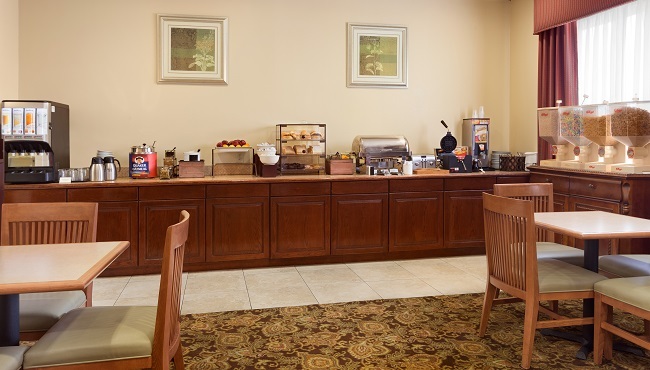 For lunch and dinner, the hotel is convenient to a variety of Houston-area restaurants, including Gumbo Jeaux’s and Pappasito’s Cantina.